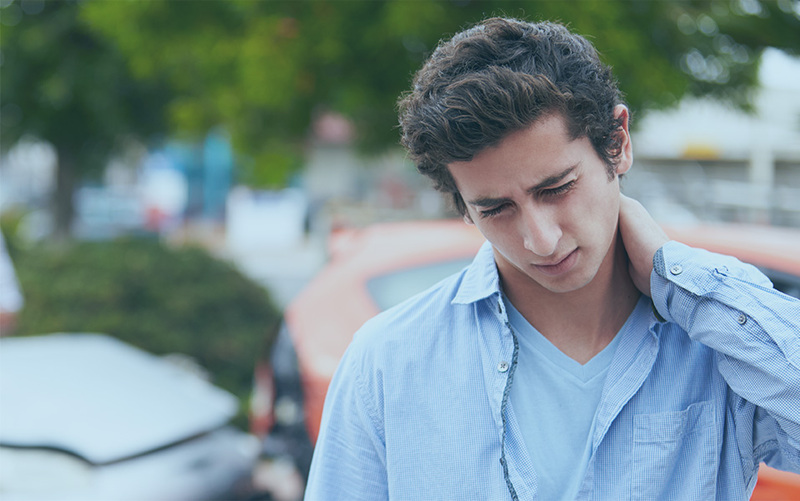 If you have been involved in an auto accident, whiplash injuries need to be taken very seriously. Because symptoms of a whiplash injury can take weeks or months to manifest, it is easy to be fooled into thinking that you are not as injured as you really are. Too often people don’t seek treatment following auto accidents because they don’t feel hurt. By far, the most common injury to the neck is a whiplash injury.Whiplash is caused by a sudden movement of the head, either backward, forward, or sideways, that results in the damage to the supporting muscles, ligaments and other connective tissues in the neck and upper back. Dr. Xavier I. Ibarreta of Midway Chiropractic in Des Moines, WA is one of the few healthcare providers in the Northwest who is a Doctor of Chiropractic, an NUCPS Traffic Crash Investigator, and an Advanced Graduate of the Spine Research Institute of San Diego (SRISD). Dr. Ibarreta is one of only 29 tested certified SRISD graduates in Washington State. The education and training of a Traffic Crash Investigator is typically designed for law enforcement personnel. Training involves drawing accident collision diagrams, calculating speed estimates, interpreting different types of vehicle damage, determining occupant biomechanics, evaluating tire marks, and other sources of physical evidence on the roadway. 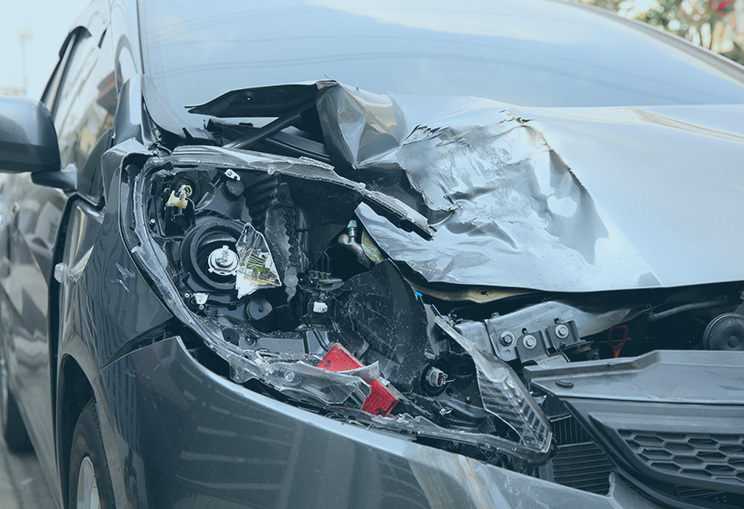 Motor Vehicle Accident (MVA) cases are highly complex in nature, involving review of police reports, damage estimates, damage photographs, investigation and biomechanical reports, and prior medical reports. Due to the complex nature of MVA’s and the medicolegal issues involved, many primary care providers and medical specialists will not accept you as a patient if you have an MVA claim. Since all three doctors at Midway Chiropractic have experience with both deposition and court testimony for MVA cases, we would be happy to review your case. SRISD is a five-module certification program taught by Dr. Art Croft DC MPH PhD(c). Dr. Croft is considered a scientific authority in the field of whiplash and MVA injury research, and has published over 350 research articles and two textbooks. Approximately 100 certifications are granted each year for those who successfully pass the SRID exit examination. By virtue of their specialized training, SRISD graduates are qualified to opine on whiplash statistics, biomechanics, crash investigation and auto accident reconstruction issues. Other instructors at SRISD have included world renowned crash-test scientist Dr. Frank Pintar PhD, Professor of Neurosurgery at the Medical College of Wisconsin, and Dr. John De Rosia PhD PE, Auto Accident Reconstructionist and Biomechanical Engineer. Dr. Croft is the developer of the chiropractic whiplash guidelines that have been recognized by the National Guidelines Clearinghouse (NGC). He has been a lecturer at several international conferences, including the Association for the Advancement of Automotive Medicine, the International Congress on Whiplash-Associated Disorders, the International Association for the Study of Pain, the World Congress of the International Traffic Medicine Association, the SAE World Congress and the World Congress of Biomechanics. In the United States, up to 3 million people each year get injured in a Motor Vehicle Accident (MVA). The most common injury is whiplash (cervical acceleration/deceleration). Due to the complex nature of MVA’s and high impact forces involved, approximately 20% of all patients who suffer whiplash will have residual pain and disability. All injuries need to be accurately diagnosed and documented by a licensed healthcare provider. Due to their extensive experience in treating whiplash injuries, chiropractors see approximately 1/3 of all MVA patients in the United States. 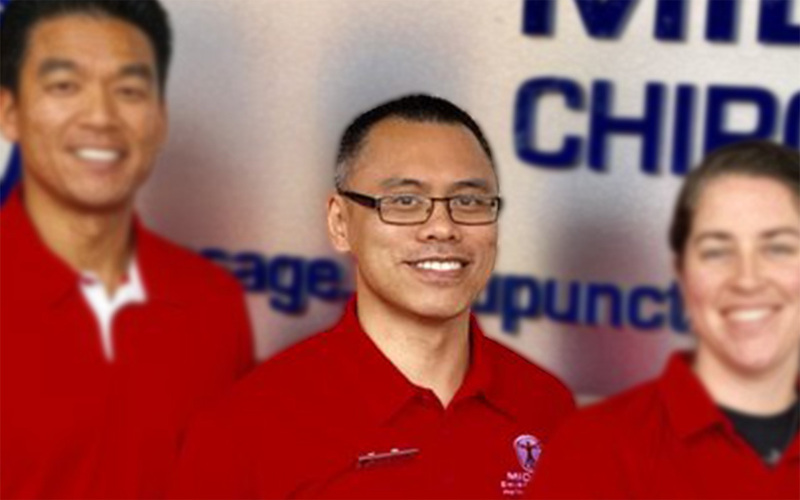 The doctors at Midway Chiropractic have experience evaluating all types of MVA’s (ie. rear-end, front-end, sideswipe, side impact, rollover, etc). Each type of MVA comes with a different prognosis (expected outcome with treatment). At Midway Chiropractic, we have experience with both deposition and court testimony for auto accident injuries, and addressing issues such as causation and biomechanics. We accept PIP insurance as well as third party claims. So you have been in a Motor Vehicle Accident (MVA) and you have an injury. Now what do you do? Get examined by a doctor. Have your car examined by a qualified mechanic. Request a copy of your damage estimates, damage photographs and police report. 1. Get examined by a doctor. Once your injures have been diagnosed, we will grade the severity of your whiplash injury using national whiplash guidelines. These guidelines are authoritative, and are used in research and as well as in clinical settings to help determine proper chiropractic treatment dosages and durations. We work with local healthcare providers such as neurologists, orthopedists, rehabilitation specialists and physical therapists. Chiropractic treatment is one of the most effective treatments for whiplash pain. In addition to spinal adjustments, Midway Chiropractic offers in-house rehabilitation exercise with a certified athletic trainer, Active Release Technique (ART), Graston Technique, DRX 9000 Lumbar Decompression Therapy, Kinesiotaping, Chattanooga Saunders Cervical Decompression and Erchonia Cold Laser Therapy. 3. Have your car examined by a qualified mechanic. Damage estimates of the exterior of the car only show a fraction of the total property damage. In many cases, photographs of the exterior alone are insufficient to accurately determine property damage. 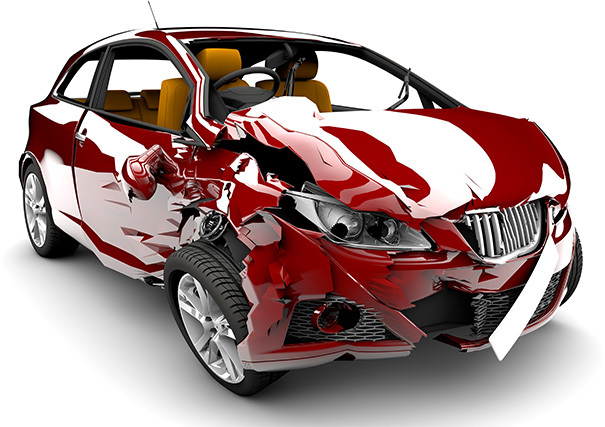 Since up to 40% of all MVA damage is internal, you will need to have your car taken apart and examined. If you think that your estimate is inaccurate, have another estimate done. In many cases, averaging the damage estimates is appropriate to determine the total cost of repair. 4. Request a copy of your damage estimates, damage photographs and police report. In many cases, crash investigation issues such as general speed estimates, Principal Directions of Force (PDOF), biomechanics of injury and crash severity classification can be determined after careful review of these documents. From a crash investigation perspective, property damage of ALL cars involved in the collision is important. From a clinical perspective, the price to fix your damaged car is not as important as HOW your car was damaged. Was the impact centered or offset? Did the impact cause your car to rotate? Was there override/underride? Was the damage cosmetic or structural? Did your car have a trailer hitch? Answers to these types of questions will help the doctors at Midway Chiropractic determine your biomechanics of injury as well as crash severity. Also let the doctor know what happened to the car that hit you. Did the airbags deploy? Was it towed at the scene of the accident? Was there visible damage on the car? Pictures speak a thousand words, so cellphone photographs of the accident and cars involved is often helpful. 5. If the insurance company is asking legal questions you do not understand, consult with an attorney. Most attorneys will offer a free initial consultation to answer some of your questions.